At first, Wright could not figure out the deeper meaning of the poem’s opening stanza. But he knew he liked it. He memorized the passage. He recited it. He began to understand. He began to form his own quest for a personal definition of immortality. Wright takes great pride in the places that have molded him. Like so many Texans, the New Braunfels native has a fierce pride in the Lone Star State. Like so many in his hometown, he has a fierce pride in his German heritage and a great respect for those who came before him. And like so many young men who come of age in the Treasure State, Wright now has a deep admiration for Montana. Because of his understanding for the factors that form him and the clusters of people he represents, Wright has committed himself to a steady discipline that has helped him walk the straight and narrow during the last five years in Bozeman, Montana. 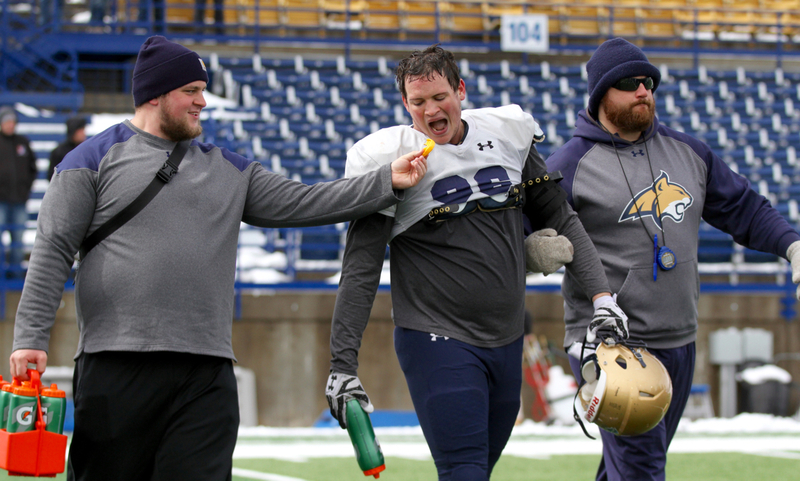 And because of his quest to influence the lives of those around him, Wright has risen to a position to leave a memorable mark on the Montana State football program. 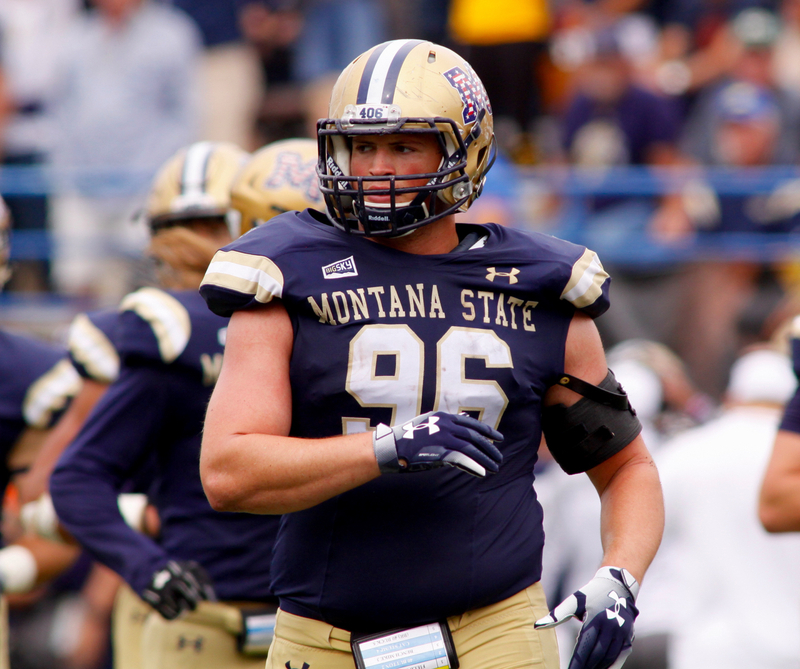 On Saturday, Wright will walk to the center of Bobcat Stadium as a team captain for the final time. The fifth-year senior defensive tackle will make his 31st straight start against Northern Colorado. 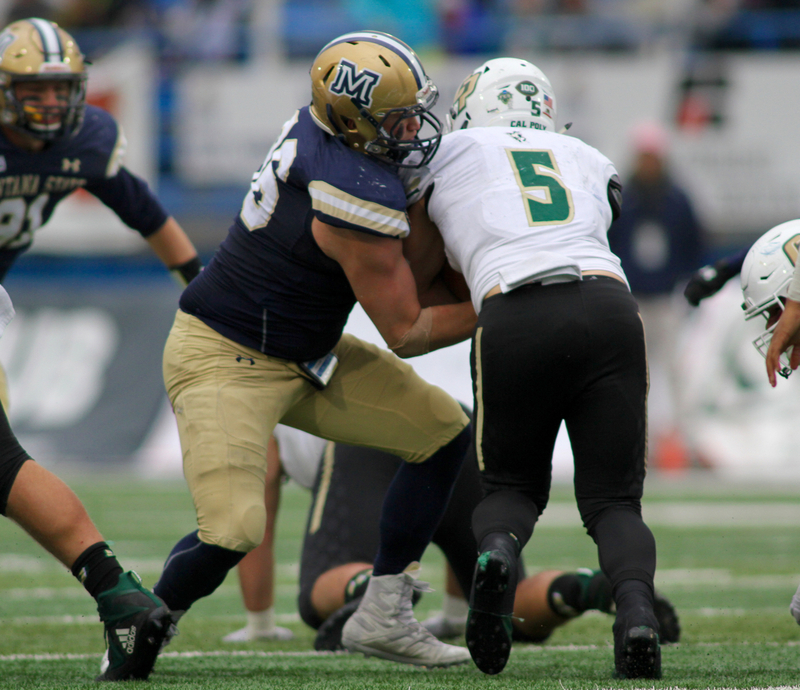 He shared Montana State’s Joe Tiller Defensive MVP honors last season and is working on a second straight All-Big Sky Conference campaign. But it’s the impact Wright has had in the Bobcat locker room with his teammates that will resonate the most. The captain has played an integral role in helping usher along the culture change third-year head coach Jeff Choate preaches daily. Wright’s ability to actualize his role amongst his peers paired with sharp communication skills have helped solidified Wright’s lasting legacy. 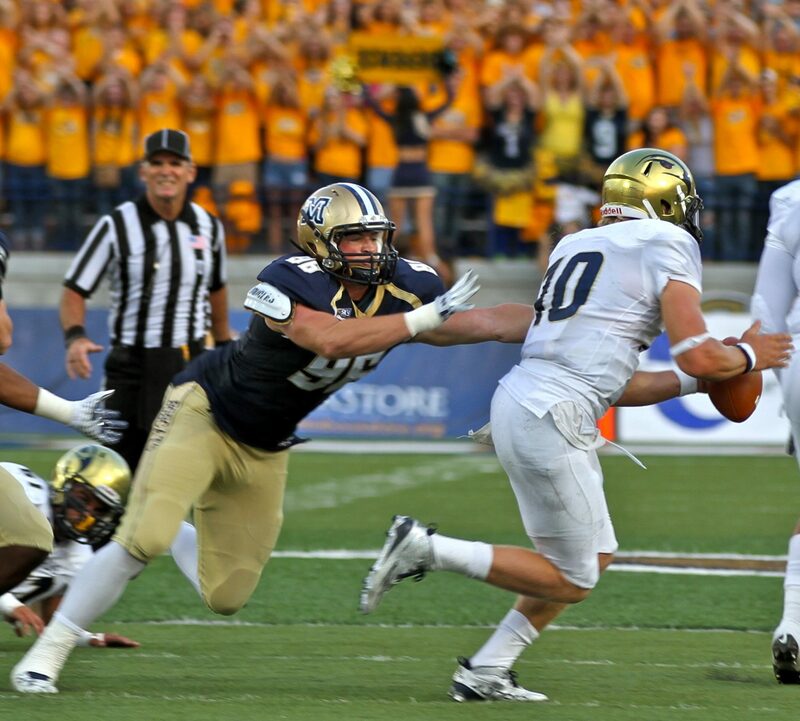 The blue-collar workman came to Montana State as an unheralded defensive end with no recruit stars or flashy suitors. Through toughness, diligence and perseverance, Wright has been one of MSU’s most consistent performers in three years starting at a different position than he was originally recruited to play. And as the lynchpin on a defensive line that also includes senior end Tyrone Fa’anono and senior nose tackle Tucker Yates, Wright has kept a group of 10 Bobcat seniors playing their final home games on Saturday together. 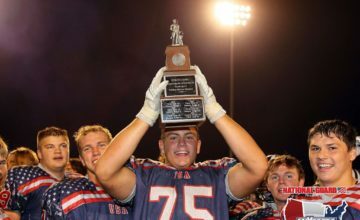 During fall camp of his redshirt freshman year while still playing defensive end and still carrying defensive end weight (240 pounds), Wright suffered a high ankle sprain that kept him from competing for time in MSU’s defensive line rotation. Early that season, Wright “messed up” his AC joint in his shoulder and ended up appearing in just five games, notching one assisted tackle. 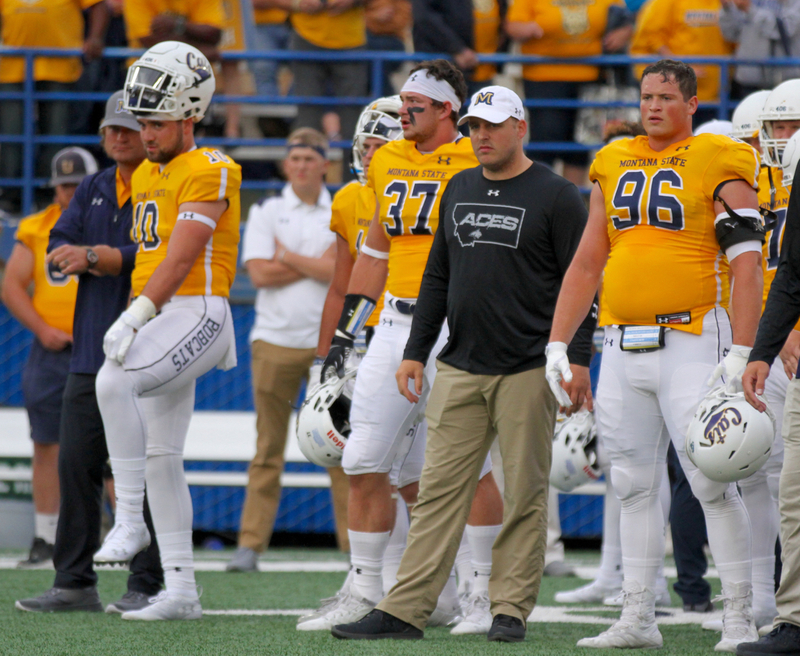 By the end of his redshirt sophomore year in 2016, Choate’s first season at the helm, Wright “looked like a robot” because of the bulky brace he had to wear on his right elbow to support a torn UCL and a brace on his knee because of a sprained MCL. Yet he started all 11 games. Last season, Wright tore the labrum in his left shoulder, an injury that initially happened in high school but got to the point where his shoulder “constantly slid out” when he played. He has delayed the surgery until his eligibility runs out. Yet his string of consecutive starts reached 22 games. This season, he’s managed to stay healthy and has produced at multiple inside positions on MSU’s defensive line. He started the first game of the season at nose guard with Yates suspended and has rotated in at the position a good amount all year. 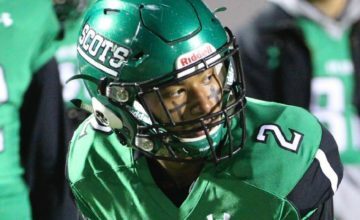 He has 32 tackles this season, including a career-high 7.5 tackles for loss. He notched sacks against South Dakota State, Weber State and Cal Poly. Wright spends most Sunday mornings during the season in the training room or doing some sort of rehab to keep his body operating at a functional level. He’s endured as many injuries as any Bobcat. Yet Wright has as many consecutive starts as anybody on the roster. “The devil is in the details,” Wright said as he sat outside the MSU training room less than 48 hours after enduring an afternoon defending Cal Poly’s relentless triple option. “It’s not the big things. It’s all the small things added up. It’s about the menial tasks, doing the things you don’t want to do to stay in the fight. In his career, Wright has 12.5 tackles for loss and five sacks. Statistics don’t tell the whole story. Before taking his first college head coaching job, Choate spent two years coaching defensive line at Washington. 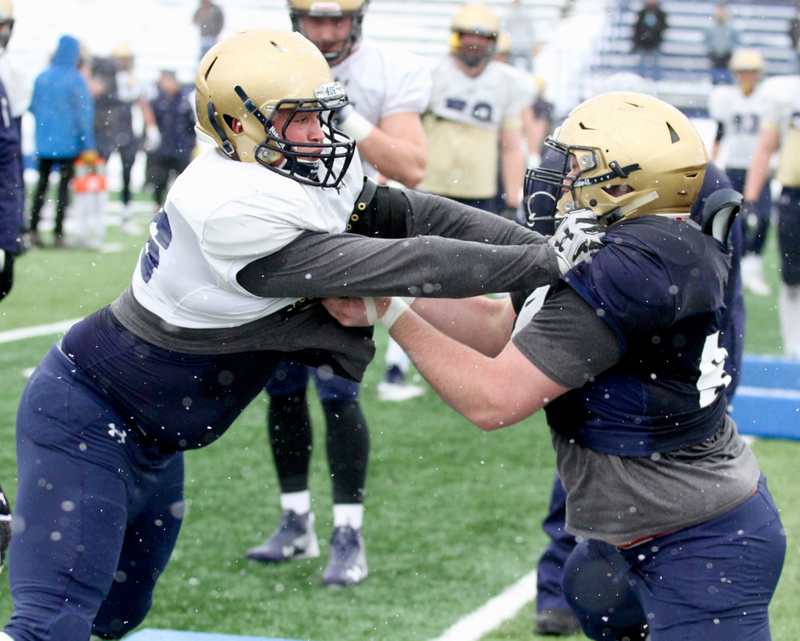 When spring practices opened, Choate and Hout went to work building the bedrock fundamentally for what, three years later, is now one of the top defensive lines in the Big Sky. Before the coaching change, a mutual decision was also made to move Wright from end to tackle. When he came back from Christmas Break to report to winter conditioning, Wright had gained so much mass, he became the brunt of jokes from his fellow linemen. The “bad weight phase” didn’t last long. By the 2016 season, Wright weight 255 pounds with improved fitness. 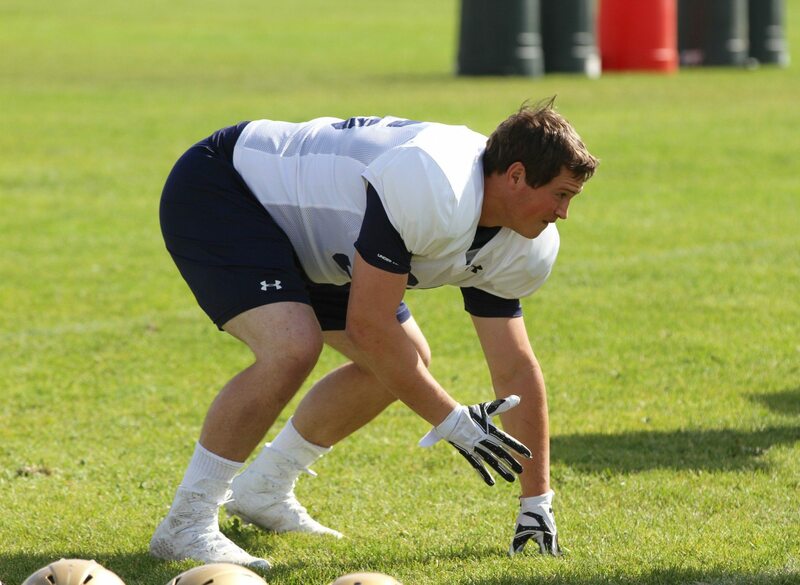 He has played the last two seasons at 265 pounds on his 6-foot-2.5 frame, part of his conditioning coming from spending part of his summer working on a farm in Medicine Lake, Montana. Wright’s ability to perform at an all-league level is a testament to the discipline he’s been honing since his youth. From a young age, Wright remembers having an affinity for the military. “I wanted to be a patriot,” he said. Wright’s father, Matthew, has worked at a local construction company that is well known in New Braunfels and has coached youth sports most of Zach’s life. Wright’s mother, Robin, worked as a curriculum specialist for the New Braunfels school district, meaning he and his younger brother, Weston (now a true freshman offensive tackle at Texas Tech), knew they had to behave at every turn. The combination of a structured home life and an interest in a structured lifestyle helped keep Zach and Weston in line. His roots also bolster that sense of pride. New Braunfels is a former German colony with a heavy German influence to this day. The town of about 80,000 Northeast of San Antonio still hosts Wurst Fest, a famous German festival complete with traditional sausages, beer, polka music and “chicken dancing,” Wright said. Robin’s grandparents were German immigrants and Zach said his great grandmother fits the depiction of someone from one of the most prideful countries in the world. “It’s the same thing with our tedious drills and practices,” Wright said. “I get in there and I’m getting off the ball and everything happens in the snap of a finger and all of a sudden, the guard pulls, the tackle is crashing down and I don’t even have to think. I just react and throw them by me and I’m good. This point is the crescendo of Wright’s college days. He will graduate with a double major in business management and business marking. 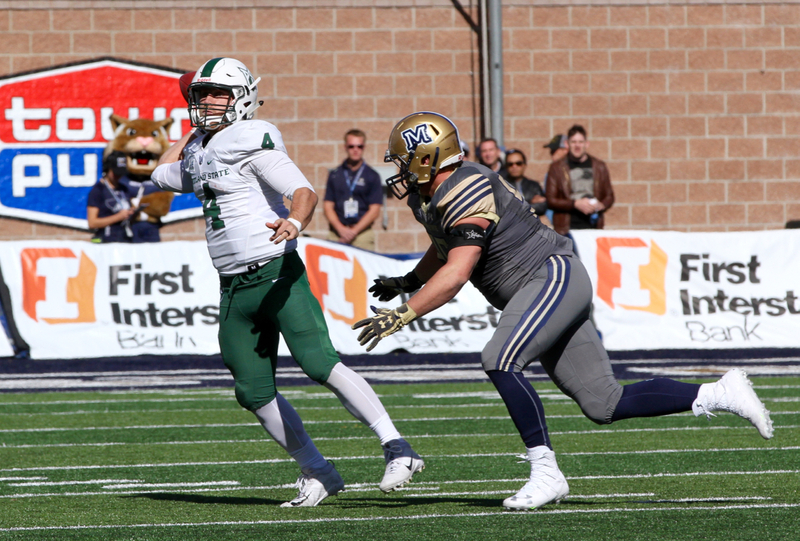 He has navigated his final football season while taking a full course load, including capstone classes in each major. Between practice, film study, recovery and rehab from the football side of things and a strenuous course load academically, Wright said he does “not have any spare time” this fall. He gives himself Sunday nights to recover and recoup each week. “It all boils down to discipline,” Wright said. “It’s the ability to, as tempting as it is, to not throw yourself into the college life of drinking and partying and not doing school. I think that’s the No. 1 thing as far as attrition goes for guys who get into programs is they are not disciplined enough to handle being an athlete and a student. He’ll stay in Bozeman until the spring, mostly to get the security deposit back on the apartment he has shared with his girlfriend, Emily Wilbert, since she moved to town late last summer. Wright’s high school sweetheart spent the last four years attending the University of New Mexico. Following a tragic car accident his senior year of high school that cost the other driver their life, Wright began developing a breaching device for use by law enforcement to help those trapped escape. Wilbert’s father is the chief of police in New Braunfels and helped Wright begin bringing the idea to fruition. He’s continued to work on the idea and is now on his third prototype. He is in talks with a company in Tennessee that is interested in making the device “a subsidiary” of their company. That invention might lead Wright down the path to his future. If not, he said he will look for career opportunities in Montana and Texas. 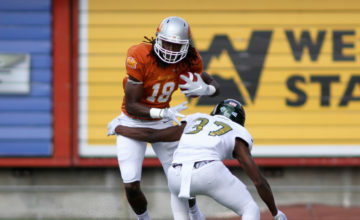 As for his football career winding down, Wright said he has no fear. 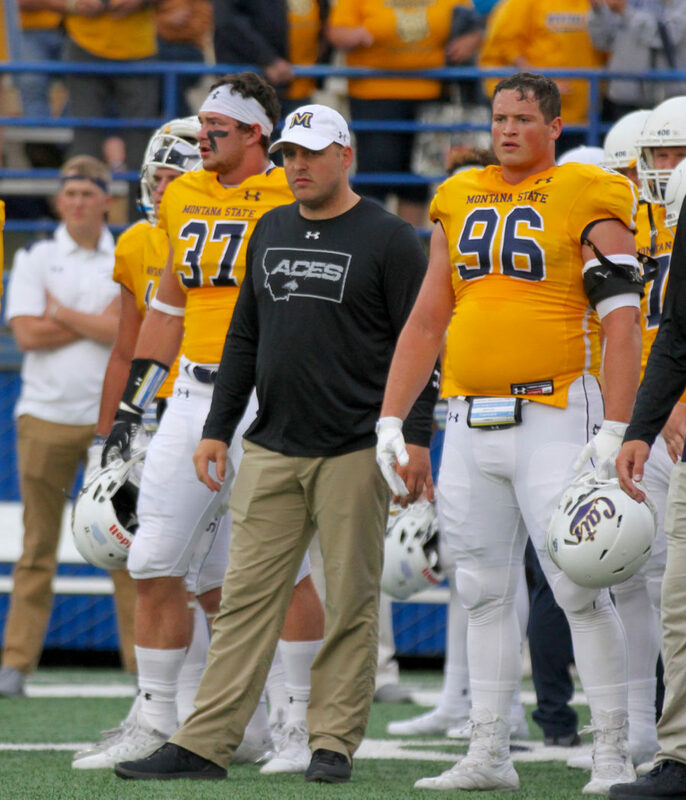 Montana State’s captain remembers the end of each regular season being accompanied by thoughts and plans of how to spend the upcoming months healing and improving. With Saturday’s Senior Day and one last showdown with the rivalry Grizzlies the only guaranteed games remaining in his career, is simply enjoying the ride. Of the 20 high school prospects that signed with MSU in 2014, only six will be celebrated on Saturday. Wright, Yates and Fa’anono along with tight ends Curtis Amos and Connor Sullivan and inside linebacker Grant Collins have endured a sea of change individually and as a group over the last five years. Wright said the group is similar in work ethic and their common belief in the values Choate strives to develop. Fighting, pushing and striving to better themselves together has formed a brotherhood between MSU’s senior class. Enduring an unusual number of close loses over the last three seasons has brought that brotherhood and these Bobcats to the brink. A win Saturday would stamp a winning season, snapping a three-year streak of losing records. 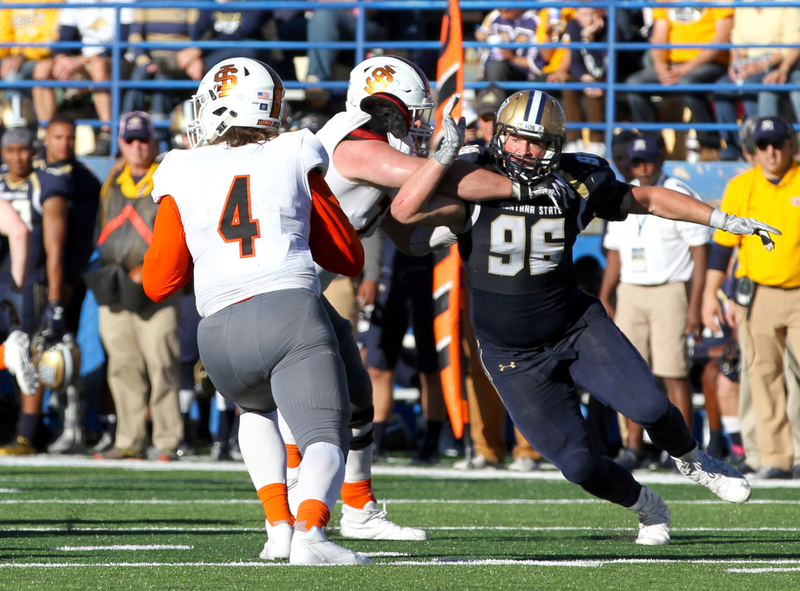 A win over the Grizzlies in two weeks would solidify Montana State’s first three-game winning streak in one of college football’s most impassioned rivalries since 1985. As Wright analyzes the mortality of his football career, he is at peace. Thomas Hardy’s 19th century passage resonated with him then, sparking his unwavering drive to be remembered now and into the future. “The sum of it all is about the relationships you build with people,” Wright said. “How can you affect people’s lives? That’s been the biggest thing I’ve fully learned. I’ve always wanted to be a captain but it isn’t about the high five or the title. It’s about what can I do to impact people’s lives and to be remembered.